We happened to come across your article,” Annihilation of debate is Annihilation” published in Deccan Chronicles. We, “Naam Tamilar“(translates to “We are Tamils”) from America and Canada would like declare our support for the May 17 protesters and we are right along with them in their mission. We wish to clarify why Tamil liberators like us are against “Kalachuvadu“magazine. It seems like you were puzzled why the protesters were protesting in a Book-release event where books of prominent Tamil writers and revolutionary writers were released. Hence, it is our responsibility to clarify your doubts and isolate the focus to the issues that we are fighting against. However, our intention is to expose the hypocrisy of Kalachuvadu which is a magazine that hides its pro-Brahmanism agenda under the mask of opinion freedom. Carries bitterness towards Dalit community. Is always against the left-wing. Is against Tamil and Kashmir freedom struggle movements. Acts as a mouth-piece for the corrupt UPA government. Always writes against social revolutionist and rationalists. Down plays the sacrifice of freedom fighters of our Tamil Eelam. Doesn’t recognize or intentionally hides the moral reasons behind Tamil freedom struggle. Lifts up Brahmanism in journalism. In Tamilnadu the intellectual politics is vertically divided between Brahmins and Anti-Brahmins. Brahmins are everywhere in Tamil Intellectual environment from the extreme left to the extreme right not because of their intelligence, but their institutions and the general protection. They are entitled for their freedom of expression that the others don’t get. Kalachuvadu is a mighty Publication that has links even in Sankara Madam. It works cleverly to spread its Hindutuva ideologies and occasionally throws few bread crumbs to its forward minded readers and pulls them towards its beliefs. The May 17th movement or all Tamil liberators had nothing against The Cage by Gordon Weiss (former UN spokesperson in Sri Lanka) because of his criticism our freedom fighters. We all are open to criticism. But Kalachuvadu a brahminical outfit in its core disguising itself as a well-wisher for Eelam Tamil is the reason for their protest. 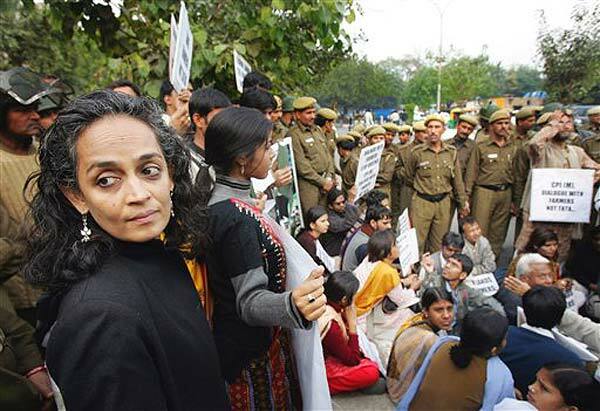 How can a protest of few, against a mighty publisher, that too a “Brahminical” one can become “The annihilation of criticism”? May 17th is not only the day the war in Sri Lanka officially ended but a day the Tamils will remember those who died in thousands when the entire world, left right north or south watched indifferently. http://www.kalachuvadu.com/issue-145/page14.asp -In this article, Kalachuvadu justifies India’s stand on the final stages of Eelam war and emphasis on how Eelam Tamils need to be working for their freedom only under the advice of India and Israel. http://www.kalachuvadu.com/issue-116/page47.asp – This article’s title translates to, “Last days of Eelam war- What happened in Vanni?”. In this article, Kalachuadu provides a biased opinion of Tamil Tigers who were on the frontline in fight for a Tamil homeland. It portraits the Leader of Tamil Tigers, Prabhakaran as a dictator, who mass murdered his own people. It also shows Tamil Tigers as ruthless killers. http://www.kalachuvadu.com/issue-144/page23.asp – In this article, Kalachuvadu justifies Sri Lankan military targeting civilian targets (like hospitals) and holds the Tamil Tigers as solely responsible for the whole situation. It even goes as far as saying that it was the Tamil Tigers who provoked the Sri Lankan army to attack the civilians (as if they never attacked Tamil civilians in the past) by holding civilians as human shields. We are advocates of free-speech but manipulating the truth is unacceptable. Tamil Tigers were not foreign to Eelam. They were native to the land and were forced to take weapons only after witnessing their family and friends raped, kidnapped, murdered, and tormented to the core. It is for the people that they were fighting for. It is for their freedom and security the Tigers chose to put their lives on the line. The following youtube clip shows an interview taken from the wife of Col. Kajan who was a senior commander who stood in the war zone during the final stages of war and was killed during that time. She and her child were along with numerous civilians who had stayed in the war zone with the Tamil Tigers until the final stages. She clearly expresses how there was a general fear among the people in going to the so called “safe zone”, which was constantly being attacked by Sri Lankan government forces and how people chose to stay with the Tigers because they thought they were safe with them. It is also worth noting that ICRC personal shared his testimony in the Channel-4 documentary, regarding how he was providing the geographical co-ordinates of the “safe-zone” where civilians were taking refuge (in order for Sri Lankan government forces to make sure they don’t target it by ‘accident’) stopped doing it because every time he provided the information an attack precisely targeting the safe-zone, followed. Unfortunately, most of the media is controlled by the pro-Brahmanism fascists like Kalachuvadu who don’t allow the real truth to be exposed. Hence, we feel that it is our moral responsibility to support May 17 comrades or anyone who protests against Kalachuvadu which continuously spreads false propaganda against Tamil Eelam freedom struggle. Fight for a sovereign Tamil Eelam is not just a necessity for Tamils living in Eelam, but also utmost important for Tamils around the world, especially for the ones living in Tamil-nadu (where there are around 7 billion Tamils). If we allow forces like Kalachuvadu to spread false propaganda, it will cause backlash in support for our Tamil Eelam freedom struggle, especially in Tamil-Nadu, where it is imperative to unite Tamils irrespective of their caste/religion/political associations to be support and help carry forward our freedom movement. We hope that this letter might have clarified our intentions behind the protest and helped you understand the true identity of Kalachuvadu. These forces are playing their role the right way, in causing friction between us comrades and distract us from our mission in fighting atrocity. It is important that we understand who our common enemy is and focus on fighting them. Naam Tamilar America & Naam Tamilar Canada. நாம் தமிழர் கட்சி மற்றும் சுபா.முத்துக்குமார் தொண்டர்படையின் சார்பாக தஞ்சையில் தமிழர் திருநாள்/தமிழர் எழுச்சி நாள் கலைவிழா – படங்கள் இணைப்பு! !